Backup up your vehicle as you know can be difficult and dangerous. There are blind spots that get bigger as the vehicle size increases. Because of this the DOT has mandated all new vehicles have a rear view camera starting in May 2018. Having the best wireless backup camera for RVs or trailers will dramatically reduce the chances of an accident or possibly save a life. Backup cameras are easy to install and have come down in cost so there is no reason to not have one. We’ll give you reviews of five good cameras and cover what you need to consider before buying one. 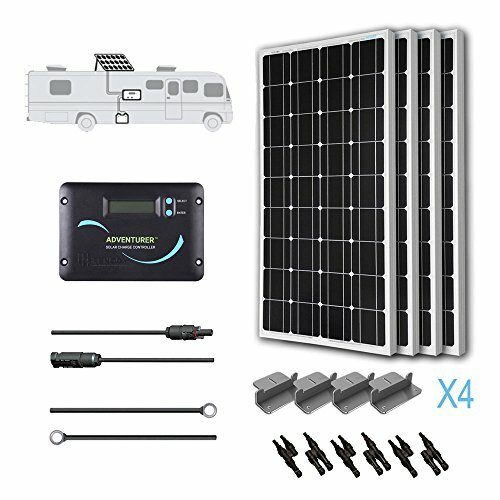 For more of my top gear recommendations, have a look through these popular Outside Pursuits guide links: RV GPS Units, RV Solar Panels, RV Generators. Here is a feature overview of my top 3 overall picks. Our guide and comparison table of the top rated wireless backup cameras will help you choose the right one for you. 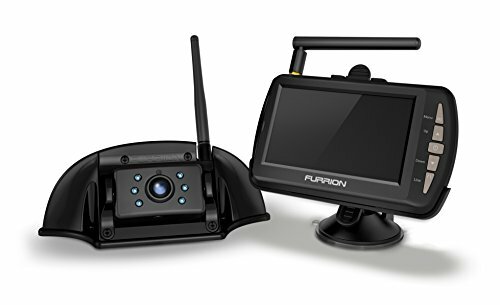 The Furrion wireless backup camera observation system is designed primarily RVs and 5th wheels. The camera is more than just for backing up but as Furrion calls it an “observation” system. It can be left on all the time so while your driving you can see right behind your RV or 5th wheel. Of course it’s an excellent option for a wireless backup camera system, its more than just that! The high quality camera has 6 infrared lights for good night vision and mounts on the back up your vehicle with the included screws. With 100ft range it works with the largest RVs and trailers and the camera has anti-vibration with image stabilization to keep a crystal clear image even over rough roads. The camera does not have a built in battery so you will have to tap into power with the included cables. With an IP65 waterproof rating it will stand up to harsh weather. 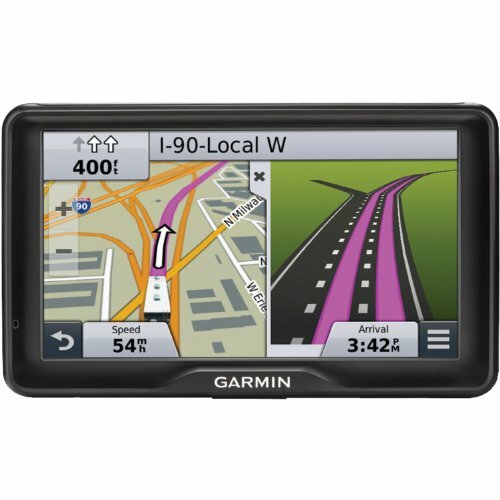 The 4.3” monitor with 720×480 resolution sits on your dash with a suction cup mount. Power is supply by plugging it into your cigarette lighter outlet. The Furrion is unusual in that you can also connect side cameras in addition to the rear camera and rotate between them on the monitor for extra visibility. If your looking for the best wireless backup camera for RVs or trailers, the Furrion should be at the top of your list! The Zeroclub backup camera is the definition of hitting the “Easy Button” and is our Editors Choice for the best wireless backup camera system. About the only hard part is getting power to the rear view camera. 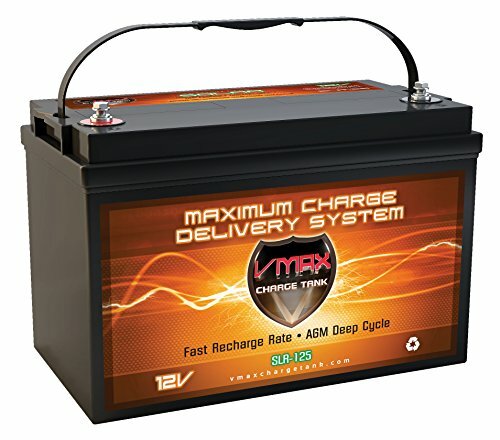 You need to tap into the backup or tail lights of your vehicle or trailer for 12V or it works with 24V as well. It has max range of about 150 feet but depends on what the signal has to pass through but should be adequate for most people. The 7 inch display mounts on your dash and gets power with the included cigarette light plug. It has a wide viewing angle of 140 degrees and with digital image stabilization gives a smooth clear picture. The image quality is HD and with 18 infrared lights the Zeroclub provides an amazingly crisp, clear image even at night without your backup lights. A pretty unique feature is the ability to change the viewing angles allowing you to focus on obstacles behind your RV or trailer. If you want the system to come on automatically whenever you are in reverse, hook the red wire to the backup lights. Compared to most wireless rear view cameras, the included directions are clear and easy to follow but there is not much to wire anyway. With a very high IP rating of 69 it’s very waterproof and weather resistant. The only downside is the camera has to be screw mounted as there is no magnetic mounting option available. The Swift Hitch is a different rear view camera system than the others we looked at. It does NOT include a monitor and instead uses your smartphone or a tablet. This has the advantage of not needing a dedicated viewing monitor installed on your dash. Download the Swift Hitch app to your smart phone or tablet and connect to the wireless backup camera using its WiFi hotspot. 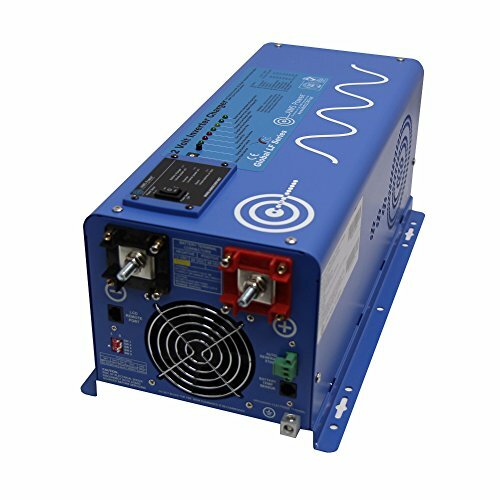 It functions in two modes, STA and AP. STA mode gives you the ability to view the camera through the internet. This makes it ideal as a monitoring camera. In AP mode the camera is only accessible through its built in hotspot. It also has a built in microphone so you can hear as well as see. Also ideal if you want to use it for a monitoring camera. Also setting the Swift Hitch apart is the ease of mounting the camera with its magnetic base. Assuming you have metal to attach it to, it’s the easiest possible method for mounting it. It does have screw holes and included screws for permanent mounting or you don’t have metal for the magnet to attach to. The camera has infared lights for night vision and one of it’s best features is it has a built in rechargeable battery. 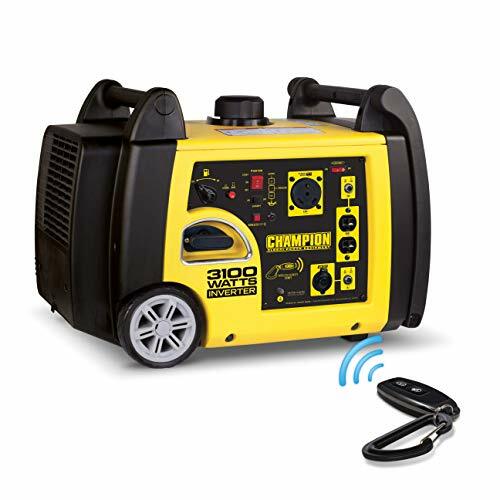 Ideal for temporary use or don’t have easy access to electrical power. The battery will give you about 5 hours of continuous run time. Swift Hitch does included wiring for hard wiring if you have access to 12V. The also included a magnetic holder to mount your tablet or smartphone to your dash. You can easily detach it from the mount, handy if you don’t need it all the time or just keep it out of sight. Compared to other cameras the viewing angle is narrow at 65 degrees. If you want to use a GoPro type mount it’s compatible with that as well. The app even supports taking snapshots or video clips for sharing with friends or family. The Swift Hitch is one of the best rear view cameras on the market! If you need an inexpensive wireless rear view camera system, the Emmako is just what you need. Quick and simple setup, just attach the 4.3 inch LCD monitor to you dash with the included double side foam tape and plug in into your cigarette power outlet. Even though the system is wireless it comes with a 20ft RCA video cable to hard wire it if you want it on for continuous operation and maximum resolution. The camera uses your license plate screws to mount it and it even has 7 infared lights for night visibility. For such an inexpensive camera it has an IP68 rating which means it’s fully waterproof and weather proof. It hasa wide angle lens at 135 degrees and the transmitter is good for about 45ft. If you want the best aftermarket backup camera for under $50, you can’t go wrong with the Emmako! Need a way to nail the hook up to your trailer or 5th wheel the first time and every time? The iBall will help you do that! Just stick the camera that has a magnet on the hitch and your done. It has a rechargeable battery that’s good for 4 hours of continuous use and it comes with a USB charging cable. The monitor couldn’t be easier to use, plug it into your cigarette power outlet and the adjust the monitor that has a 6” gooseneck to get a good viewing angle. The monitor is small at 3.5” but has excellent clarity for visibility. The one downside is that you need a power outlet located so that it allows you to be able to see the monitor. With over 100ft of range you can use it with any size trailer has a wide viewing area of 120 degrees. iBall doesn’t supply us with the IP rating but it is waterproof/weather resistant. If you want drop dead simple operation the iBall is the best wireless hitch camera for your boat, RV, horse trailer or camper! There is a reason the DOT mandated the installation of rear view cameras in all new vehicles as a standard feature from May 1, 2018. We covered cameras from under $50 to $300 so there is an affordable option for everyone and no excuse to not have this important safety feature. So whether it is avoiding hitting an object or backing up over a child you shouldn’t wait to install a backup camera system. While this article reviews only wireless backup cameras you should be aware there are wired cameras as well. 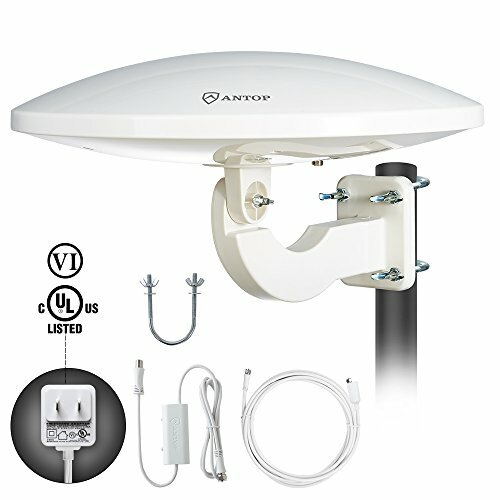 They do offer the advantage of more reliability because there will not be any wireless interference. Wired cameras however need to have a cable run from the back of your vehicle all the way to the dashboard. This means trying to run the wire under carpet, through walls that may need a hole drilled. For these reasons we focus only on the easier to install and setup wireless cameras. Having a camera is not much good if you can’t see the image clearly. Backup camera systems come in quite a variety of resolutions with most of the newer cameras claiming to be “HD”. Many of the newer cameras don’t come with a display and use your smart phone or a tablet. This is an ideal compromise in versatility. All you do is down the manufactures app and then connect it up using the cameras “hotspot”. WiFi has a range of several hundred feet making this an ideal solution for a wireless camera system. There are a few methods of installing the backup camera. Let’s go over them now. License Plate Mount – This is the simplest DYI installation and works well. You strap the camera over the top of the license plate from using the same screws that holds the plate. Bumper Mount – These can be mounted by two methods. There is a magnetic mount that just sticks to your bumper or other convenient area using a strong magnet. Most have screw holes for a permanent mounting of the camera. Flush Mount – Here we need to drill a small hole into your bumper, trunk or tailgate for the camera to look through. These are only for a person very handy or probably best left to a professional. Depending on your configuration there are several methods of mounting the display. Most common is a dash mount that sticks to your dash using suction cups or double sided tape. Both work well, what is important is the ability to adjust the display to a good viewing angle. The mount needs to adjust up and down as well as left or right. Rear view mirror displays are simple as well, they clip on to the mirror easily and are highly adjustable. This is an important criteria for your camera. Most rear view cameras can provide a good image in low light assuming you have your backup lights operating. Many newer cameras have infrared lights on the camera mount providing light that the camera can use, even though you can’t see it. If you want maximum visibility at night, be sure to get a camera with infrared capability. Since your camera will be exposed to the elements you need to make sure it is waterproof and can stand up to the heat and cold. Many cameras will have an “IP Rating” which is how waterproof the camera is. IP rating are two digits, the first tells you how well it stands up to dust and dirt. 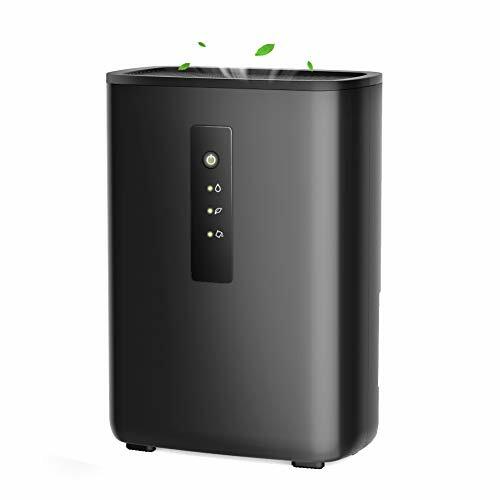 The second tells you how well it holds up to water/rain. Look for an IP rating of 66 or higher so it provides full protection against the elements. The higher the better, many cameras have IP ratings of 69. If you are in an area where there are temperature extremes be sure the camera is rated for those temperatures. A wider field of view is desirable as it will give you more visibility left and right. The camera on our list are between 65 to 120 degrees. However when you go to wide, over 160-170 degrees you can get a lot of distortion, especially on the edges. If you have a newer vehicle you see them on your display monitor helping you judge distance to objects behind you. The lines on your camera that was designed for your car are different than the lines on a aftermarket camera. The guidelines on your built in camera “bend” as you turn the wheel helping tell you where your car is going and how closer an object is to your path. Aftermarket camera guidelines don’t bend when you turn the wheel because each vehicle has a different turning radius so they are not as accurate but can still assist in directing your vehicle. If you have been using your rear view mirrors to backup your vehicle you may have an issue using a backup camera with a direct feed that is not reversed like with a mirror. You will either need to unlearn this or use the image flip feature on the camera. I hope this guide was helpful for finding the best wireless backup camera to fit your needs. If you want to comment or recommend a rear view camera I didn’t include, please use my contact form to get in touch.